Whenever you create a real estate website, or any website, for that matter, one question may arise: How will people find it? Having déjà vu? That’s my fault. I began another article the same way. Remaining competitive in online searches is sort of like exercise: You’re not healthy just because you went to the gym once three months ago (unfortunate, I know). Appearing in search results is one thing. Ranking well in those results is an entirely other thing. Hopefully, you already checked out submitting your real estate website to Google and Bing Webmaster Tools. If so, let’s talk about optimizing your home page for SEO. SEO is multifaceted, but a key contributor in determining your website’s ranking online. There are tons of valuable resources that discuss the “big picture” when it comes to SEO. Domain authority, curating backlinks, continuous content marketing efforts — these variables are super-important. They also require a little bit more work and, as such, a little bit more time. 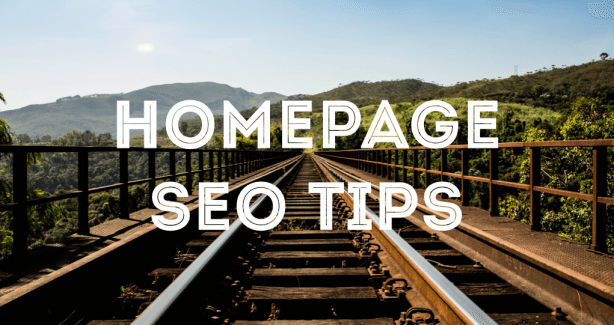 Ideally, an SEO setup guide for your home page would be one step. Instead, we’ll review some smaller actions that you can take while working up the courage to paint the bigger picture. The what: Find opportunities to leverage important keywords on your home page. The why: This one does require a little bit of prework. That said, it’s worth it. Do some research and determine your primary keywords. Then, look for areas on your home page where you can optimize those keywords. It’s likely you’ll want these keywords to frequently appear in any blog posts you produce, too. This will increase the chances that Google and Bing will recognize your website as a valuable resource when people search for those keywords. 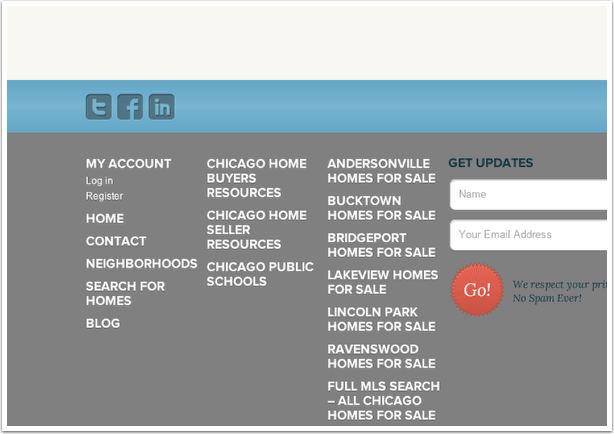 Is your niche market short sales in Chicago? Demonstrate that. The why: Technically, this isn’t your home page. You’ll thank me in a few minutes for highlighting this piece first, though. 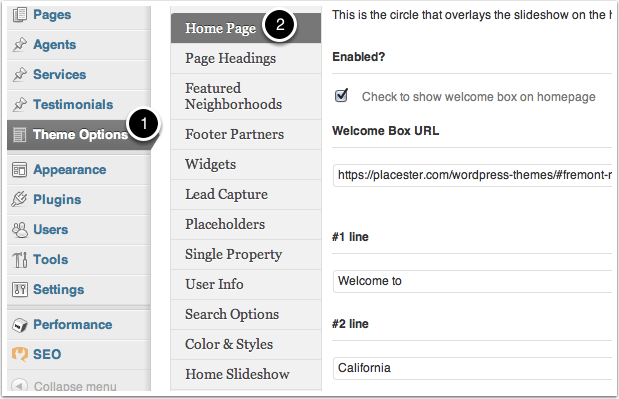 The action: If you’re using a Placester-hosted site, simply log in to the WordPress dashboard. Check out the “Pages” tab and edit your Search page. Strengthen the end of your permalink and update the page. The why: This one is easy to overlook. 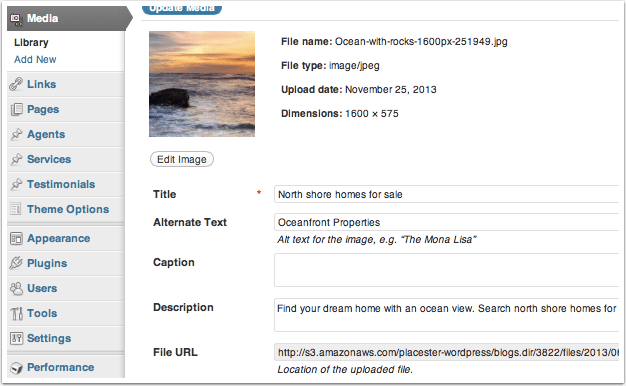 It’s likely you have images on your real estate website’s home page. Make sure search engines reward you for these. This will be even easier if you’ve already done your keyword research. I’ve run out of synonyms for “leverage every opportunity to optimize keywords.” Insert those here, though. The objective is to be found in search results for specific keywords and search queries. The action: If you’re following along with me, and are already in your WordPress dashboard, navigate to the “Media” tab. Search for the images that are featured on your home page. Think about your slideshow or any other images featured in the widget sections. Edit the image and fill out titles, alternate text fields and descriptions. The what: Update your home page’s title and meta description. The action: Still in your dashboard? Head over to the SEO tab that is powered by Yoast. You probably hung out in here a bit when you submitted your sitemap to Google and Bing’s Webmaster Tools accounts. Select the “Titles & Metas” option and navigate to the “Home” tab. Use this opportunity to fill out the “Title template” and “Meta description template” fields. Let me know if you have any questions or suggestions. You can comment below, send me an email, or find me on Twitter: @sethstuff.